This Veterans Day visit the VetFriends military photo collection, located at https://vetfriends.com/militarypics. The Collection is a tribute to all past and present U.S. military personnel and contains thousands of authentic military photos. On Veterans Day, Americans will come together to show their thanks to U.S. veterans and active military personnel. In the same spirit of gratitude, VetFriends.com -- the largest Web site for reconnecting U.S. veterans -- encourages the community to visit the VetFriends online collection of authentic military photos, in honor of the many brave men and women who have served in the U.S. Armed Forces. All photos are submitted by U.S. veterans, active military, family, and friends -- with photos spanning from pre-World War I, Korea, Vietnam, Iraqi Freedom to the present. The photo collection, found at https://www.vetfriends.com/militarypics, is comprised of thousands of pictures and allows visitors to browse by year, location, specific military branch, conflict, or military unit. Each picture contains background information along with a message and/or description. "A couple of months after posting my photo, I received an e-mail from VetFriends saying someone was trying to get in touch with me. It turned out to be the photographer of my picture and a friend... We have since been exchanging e-mails and he has even added a few pictures of his own to VetFriends too... It was fantastic to hear from him. Thank you VetFriends." The VetFriends.com Military Photo Album creator allows veterans to display their military photos with ease. Veterans can upload their service photos – to then be displayed on a personal profile page, alongside with background information associated with the photo, such as the military unit; date; location; service friends present; and description. Veterans are invited to create a free profile at: https://www.vetfriends.com/new_member/index.cfm. All photos, both color and black and white, can be uploaded free at https://www.vetfriends.com/MilitaryPics/image_upload.cfm, where they are then edited, re-sized, and approved for content before being posted live in the photo collection for online viewing. In addition, photo submissions received through Veterans Day will have a chance to win a free U.S. military hat from the official VetFriends catalog. Once a photo is submitted it is automatically entered into the contest. In addition to the photo tribute section, a Veterans Day Parade/Events directory is available for people to find Veterans Day events in their area. The directory highlights the locations, dates, and times of nationwide events and can be found at https://www.vetfriends.com/parades/. All event coordinators and community members can submit and register their events at this site address. Visitors to VetFriends.com can further submit personal reunion stories, military jokes, lingo, and cadences. Other features include: the ability to search the 2,000,000+ veteran member database consisting of active military, family and friends; information on how to receive your own or a family member's military records and medals; military reunion postings; message boards; discounts in the VetFriends military pride item store and more. VetFriends.com was founded in 2000 by a U.S. military veteran. 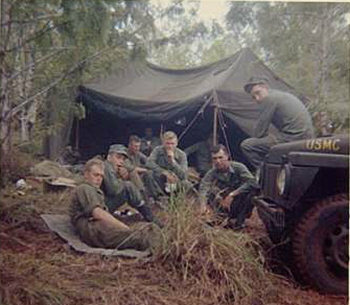 Thousands of people have been reconnected through VetFriends.com, spanning from the World War II era through Operation Desert Storm and the present. For more information or for interview opportunities please contact VetFriends.com at (800) 975-1618. Army buddies side by side.VetFriends.com honors all Veteran & Military heroes. Join VetFriends.com celebrating Veterans Day 2017. 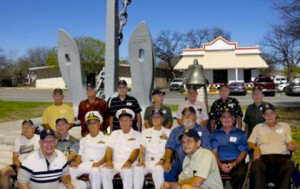 Navy Veterans ReunitedVetFriends.com honors all Veteran & Military heroes. Join VetFriends.com celebrating Veterans Day 2017. 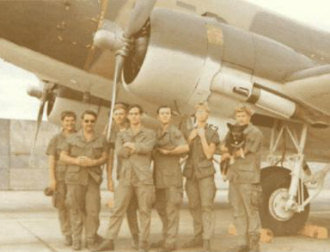 Air Force Service BuddiesVetFriends.com honors all Veteran & Military heroes. Join VetFriends.com celebrating Veterans Day 2017. 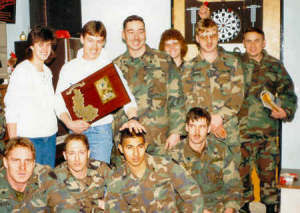 Marine Corps Service BuddiesVetFriends.com honors all Veteran & Military heroes. Join VetFriends.com celebrating Veterans Day 2017. VetFriends.com honors, supports and helps reunite U.S. Veteran & Military Heroes.Offical VetFriends.com logo.